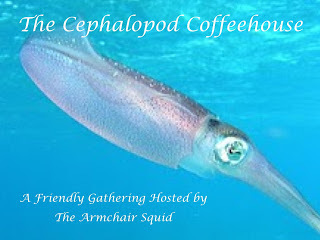 the last Friday in March is time to join in with the Cephalopod Coffeehouse where we recommend the best book we've read during the month. I've had a good reading month and have read at least 10 books ranging from my 5* pick, 4 1/2*, 4* and 3* novels. Also quite a diverse months reading, historical romance, contemporary romantic second chance, a book written from the perspective of a dog and three thrillers from the same author and murder/police and psychological thrillers. My top pick and my 5* book is a Regency romance. Perfect. I've read quite a few books set in the Regency period and this book is streets ahead of all of them. 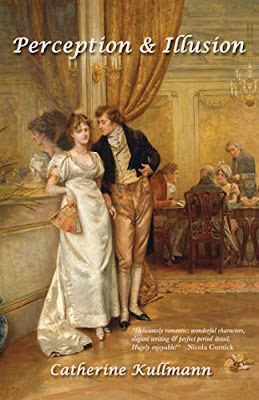 The book explores the good and bad in people, the constraints of society in that era, arranged marriages, gossip-mongers, all of which is written delightfully with good characters, good plotting, well scripted dialogue and interspersed with the minutiae of daily living without being in the least bit boring. The language is of the time and reading on my Kindle it was so easy to look up the words I didn’t know which, as well as enhancing my own vocabulary, added to the atmosphere of the book. Can’t fault it – in my opinion one of the best books I've read this year. I have friends who love Regency, but it's always been a hit or miss for me. This one, however, sounds like it might be worth trying out. Thanks for sharing it. Sounds like there's some excellent world-building in this book. Period language, too - that's ambitious. Unfortunately, not my thing, especially not at the moment.